Hardwood floors have been around for hundreds of years and still are considered one of the most beautiful flooring options available today. It’s unlikely that the appeal and value of hardwood floors will ever fade. At Moriarty Floor Covering, we have handled a number of wooden floors installations on properties in Bloomington, Martinsville, Mooresville, Franklin, Greencastle, and Greenwood. Our clients still consider it one of the best floors for any home or commercial property. We have also installed hardwood floors on properties in Bedford, Columbus, Seymour, Plainfield, and Beech Grove. Most of our clients love hardwood floors and know they are getting value for money when they make this choice. Appearance – The biggest selling point of wood flooring is its appearance. There’s something very warm and welcoming about the material that adds a hint of luxury to any property. Wood floors look great and blend in naturally with all kinds of design. Value – Wooded floors are an investment rather than an expense. They increase the value of your property by a considerable margin and allow you to recover much of your installation costs at the point of sale. 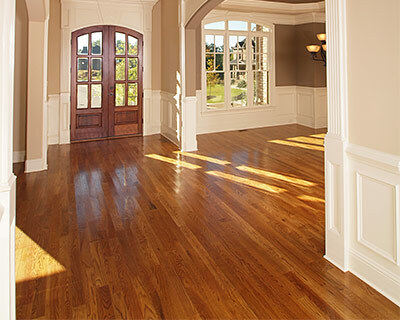 Moreover, surveys show that a home will sell twice as easily if it has hardwood floors installed. 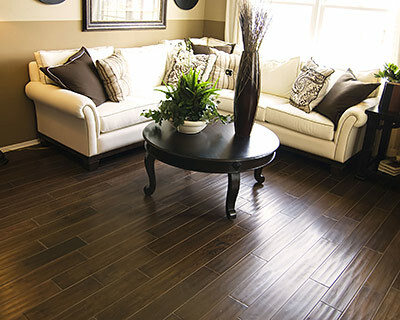 Durability – Hardwoods are very durable and can easily last for decades. You might have to replace your carpet or vinyl flooring every five or ten years; but hardwood floors can easily outlast all other materials, with the exception of stone. With proper care and maintenance, wood can retain its looks and will age gracefully with your property. Hygienic – Wood floors are very hygienic because they don’t trap allergens and dust as easily as carpets and other such materials do. They are also easy to clean and repair and help improve the overall air quality of your home. Hardwood floors are expensive and that’s why you need to choose the right product and get it installed correctly. A bad product and poor installation will flush all your money down the drain and force you to replace the floor in just a few years. That’s why you should hire us for hardwood floor installation. We’ve been around since 2002 and can handle the job with expertise. We’ll make sure that your hardwood floors are installed securely and wouldn’t give you any problems down the line. We also have a large inventory of high-quality products from big brands, including Casabella, Anderson/Shaw, Armstrong, Bruce, Somerset, Harris Wood, and Homecrest. If you have any questions about our hardwood floor products and services here at Moriarty Floor Covering, feel free to get in touch with us. You can call us at 812-824-5555 or fill out our contact us form and we’ll get back to you as soon as possible.